Rear vision / Melbourne Composers' League. Cello : contemporary works for solo cello / edited by David Pereira. 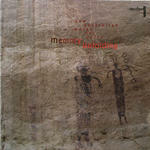 Memory unfolding : new Australian works for cello. Difficulty: Advanced — AMEB A.Mus. syllabus. 19 May 15: featuring Friedrich Gauwerky. 17 May 2015: at Amour - Soundbridge Germany / Australia (Callaway Music Auditorium). Featuring Friedrich Gauwerky. 28 Nov 04: Iwaki Auditorium, Southbank, Melbourne. Featuring Rachel Atkinson.